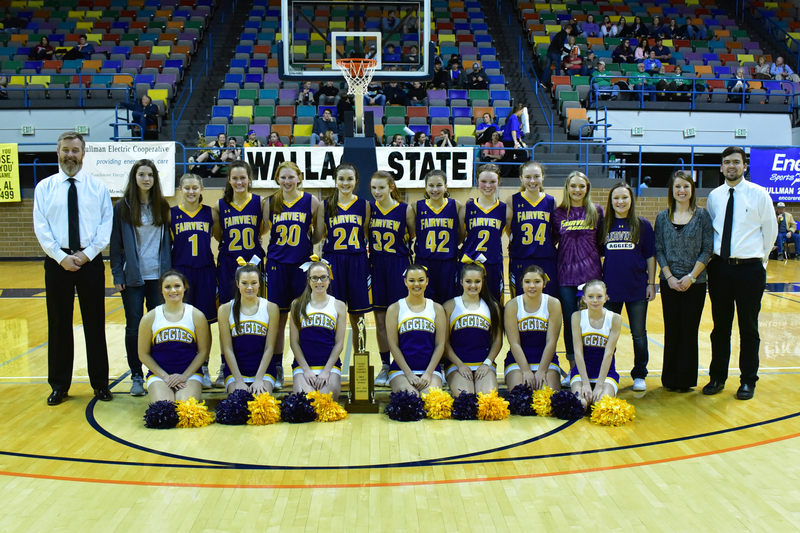 HANCEVILLE – The Fairview Lady Aggies and Cold Springs Lady Eagles met Saturday in the 2018 Cullman County Basketball Tournament for the JV Girls Championship. In the end, the Lady Aggies took the win, 29-24. The opening quarter was a defensive battle, with a combined three baskets scored, the last coming on a three by Daisy Manasco for Fairview, giving the Lady Aggies a 5-3 lead after one. The second quarter started out close as it went back and forth in the scoring and turnover department. Fairview started out the quarter on a 9-2 run, which ended with a pair of free throws by Manasco and a trey by Molly McKelvy, to increase the Lady Aggies’ advantage to nine at 14-5, but five straight points by the Lady Eagles, a layup by Lacey Rice and a Brooke Crider three, cut the deficit to four at 14-10. The Lady Aggies finished the quarter on a 6-0 run to take a 20-10 lead at the half. The third period was identical to the first, with both teams struggling to get it going offensively. Cold Springs started out on a 5-0 run with layups by Kyla Aaron and Rice, and Ember Sellers added one from the line to make it a 20-15 game, but the Lady Eagles couldn't close the gap any further, as Fairview pushed its lead to nine at 24-15 to end the third. An Isabella McGukin shot made it a double-digit lead at 26-15, but the Lady Eagles made yet another run to get back in the game. Five straight points by Aaron, followed by a Sellers layup, cut it to 26-22. Sellers finished with seven points for the game and muscled her way to 13 rebounds in the contest, but turnovers and bad shot selection plagued Cold Springs. Fairview went 3-of-4 from the charity stripe to take home the championship trophy. Four out of the last five championship games saw Fairview and Cold Springs do battle, and the Lady Aggies have a 3-1 advantage over the Lady Eagles. McKelvy finished with eight points and a steal, and she joined teammate Manasco on the All-Tournament Team. Jacy Gorham had a big game, finishing with six points, eight boards, a block and two key steals. McGukin added six points as well for Fairview. Rice ended up with seven points, three rebounds and a pair of steal for the Lady Eagles. Aaron (seven points, five rebounds, a steal and a block) and Sellers made it to the All-Tournament Team for Cold Springs. Savanna Burney got the honors for Good Hope, while Sydney Smith and Ryleigh Jones got the honors for West Point. Click here to see a full photo gallery.